Davidoff Cigars has gotten us used to new cigars, accessories and ‘Time beautifully filled”. 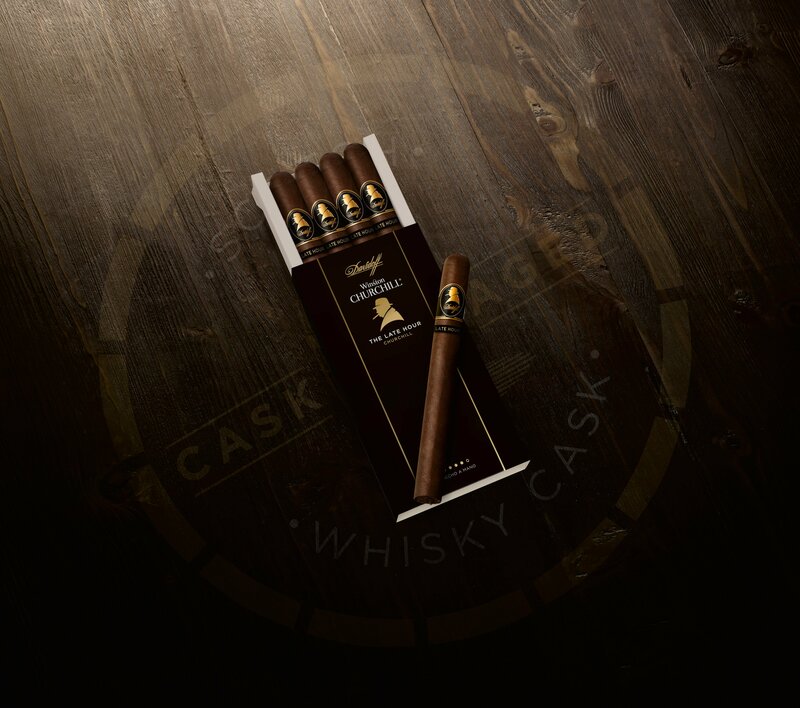 The brand has recently built on the global success of its Winston Churchill line by launching “The Late Hour”, a new whisky-cask aged cigar line within the Winston Churchill range. 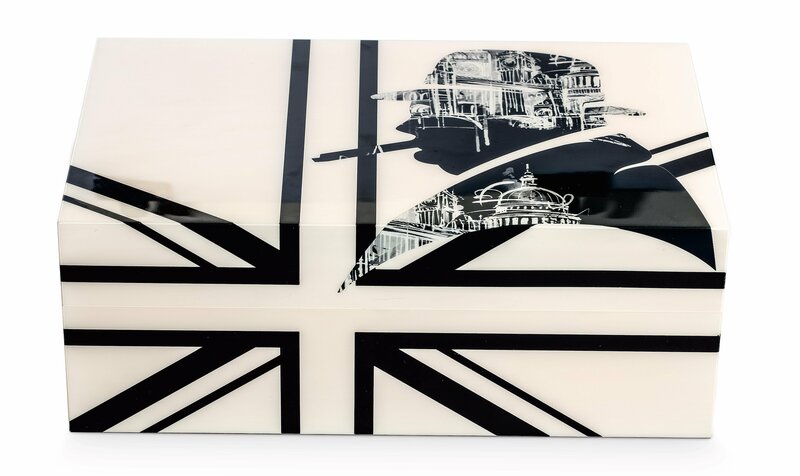 The cigar maker is also celebrating the ultimate British Statesman and one of the world’s most iconic cigar aficionados, Sir Winston Churchill, with a new line of contemporary accessories inspired by the man himself: humidors, crystal liquor glasses and ashtrays. Churchill is known for having inspired a nation with the power of his words, his strength and creativity. Despite any and all difficulties, he always found the time to stimulate his thoughts with a glass of whisky and a cigar. With “The Late Hour”, Davidoff aims at opening the cigar aficionado’s world with new tastes, in a rewarding experience through a complex and flavorful Scotch-cask aged multi-origin cigar blend. The ideal time to enjoy “The Late Hour” cigar is at the end of the evening, when thoughts and discussions pick up and weave interesting paths into the night. This cigar is a multi-origin blend with Nicaraguan tobacco aged in the finest single malt whisky casks, suffusing it with a unique complexity, depth and a heady flavor. All those elements combine to create a distinctive atmosphere, stimulating both palate and conversation at the same time. And what is a proper cigar aficionado without proper accessories? Davidoff Cigars’ new line, the Winston Churchill accessories, a marvelous blend of creative design and practicality, celebrates the statesman’s leadership and inspirational character. 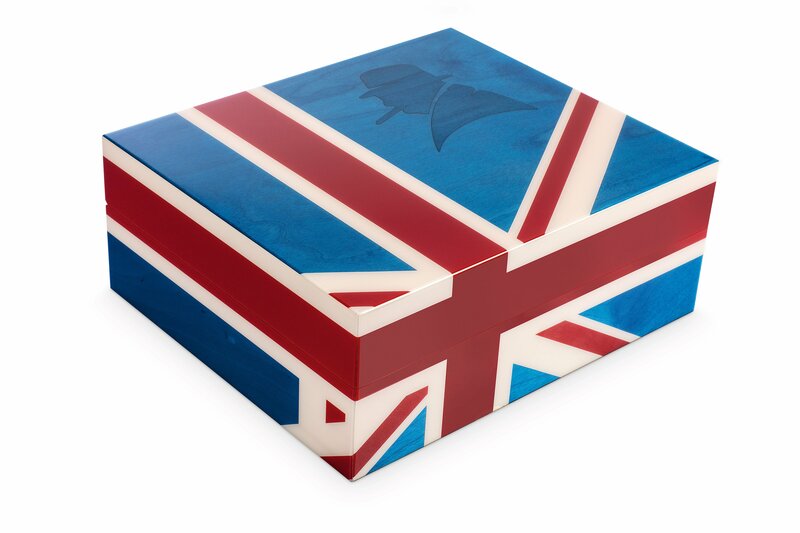 The Ambassador and Primos humidors reflect Churchill’s unique wit and daring spirit with their bright, strong colors, and their full-of-gusto appearance. The “Union Jack” model’s intense design depicts the Union Jack on blue birch wood and reflects the Winston Churchill icon in a piece of marquetry made of a darker shade of tulip wood. The “London” version, tamed down in color but rich in character is an ode to Churchill’s command centre, London, the versatile city that embodies the many facets of the man. The humidor shows the city landscape within the Winston Churchill profile on beige tulip wood. 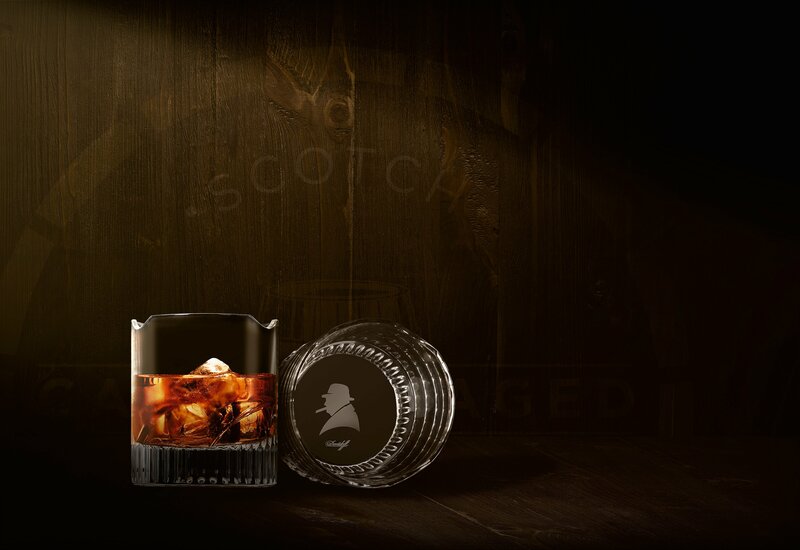 Inspired by Sir Winston’s Churchill’s affection for cigars and whisky as he led Britain, the Davidoff liquor glasses are each fitted with a unique feature: two notches on the side of the glass to hold your cigar, a big first in the cigar world! 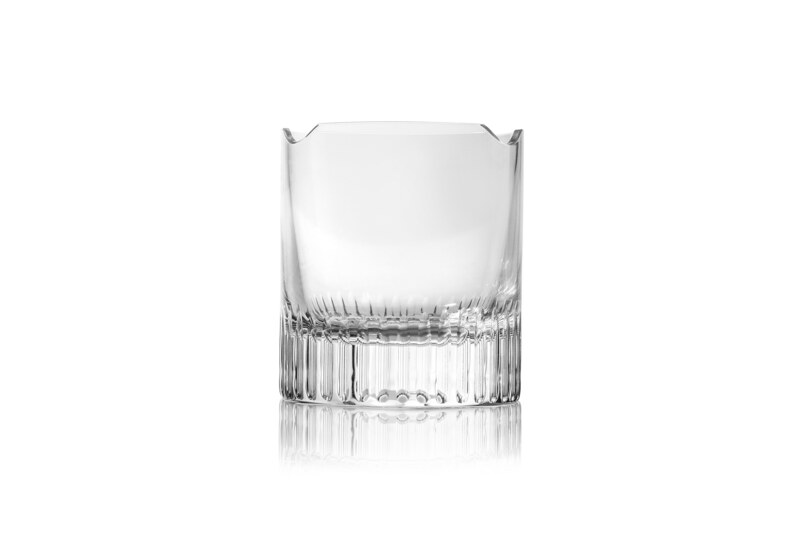 A smart feature that leaves your other hand free These are available in a set of two glasses, made in Western Europe by highly skilled glass blowers working for a small atelier that has 120 years of glass making experience. The last accessory to complete the line is the Union Jack patterned porcelain ashtray, crafted in the tradition of Limoges. The Winston Churchill icon is gold-treated, while hints of the Union Jack adorn the side of the ashtray in a mix of matte beige and brilliant gold. The ashtray has two slightly angled cigar notches to ensure the two cigars will not touch each other. The ashtray comes in a limited and numbered edition of only 115 pieces, each numbered by hand. The Davidoff accessories line, inspired by Sir Winston Churchill-The Statesman, will be launched globally as of August 2017.